HD Provides Burleson Foundation Repair. 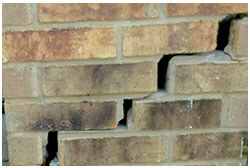 We Use Good Methods To Prevent Foundation Problems, Damage. If you need foundation repair in Burleson, TX, contact HD Foundations. Our procedures for ending harmful foundation issues work well. At HD, we provide free estimates to Burleson property owners. We also effectively deal with house foundation repair problems. HD Foundations stop structural foundation damage and preserves valuable structures. Due to weather and local soils, homeowners in this area often need to have their foundations fixed. At HD Foundations, we’re contractors that use two good foundation repair methods — pressed concrete foundation piers and steel piers. They’re both popular with Burleson customers. 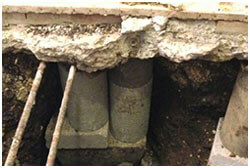 Our procedures involve installing interior and exterior foundation piers where needed. These two house leveling techniques are effective. We commonly use them when dealing with cracked concrete slabs. 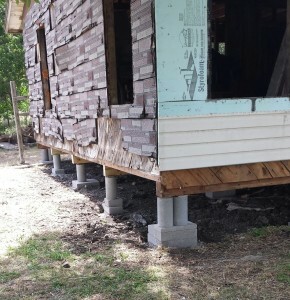 As part of providing foundation repair in and around Burleson, we service pier and beam houses, too. If wet crawl space damage is a concern, let us know. We repair crawl spaces and eliminate that type of foundation trouble, too. Having your foundation serviced prevents all kinds of foundation trouble. For one thing, it keeps damage from getting worse. It also stops foundation cracks. As Burleson foundation repair contractors that offer residential and commercial service, HD Foundations can make your house level. We’re a BBB (Better Business Bureau) affiliated company that has an A+ rating. In addition to fixing foundations in and around the Burleson area, we install foundation drainage systems. These include French drains, surface drains and sump pumps. If water or foundation flooding is a problem, we can help. Stop Foundation Damage. Get Free Estimates. In the event your foundation is showing signs of deterioration, contact HD Foundations. It’s pays to avoid foundation settling, upheaval and other issues. We offer a lifetime foundation warranty. If you’re in the Burleson, foundation repair estimates are free. So schedule one online today, or just phone us.